In February, I had the opportunity to attend MozCon Local 2016, a local search and online marketing conference, with presentations from some of the top minds in the local search game. Mobile Moxie’s Emily Grossman discussed the “app-web convergence,” which really resonated with me. 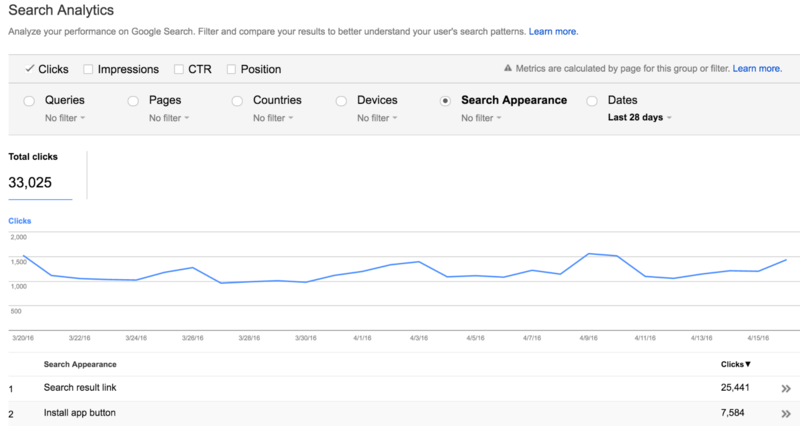 Her presentation allows brands to question the extent to which competition is growing from app results in the SERP and how this will affect organic search traffic for companies who have mobile apps. 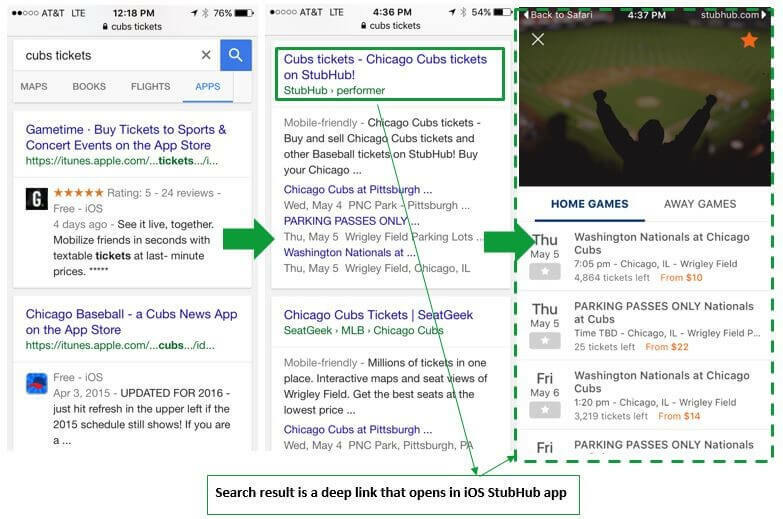 In the screenshot, the search for “cubs tickets” surfaces a result that looks exactly like a text link, but is actually a deep link that leads to the corresponding content in the StubHub app. 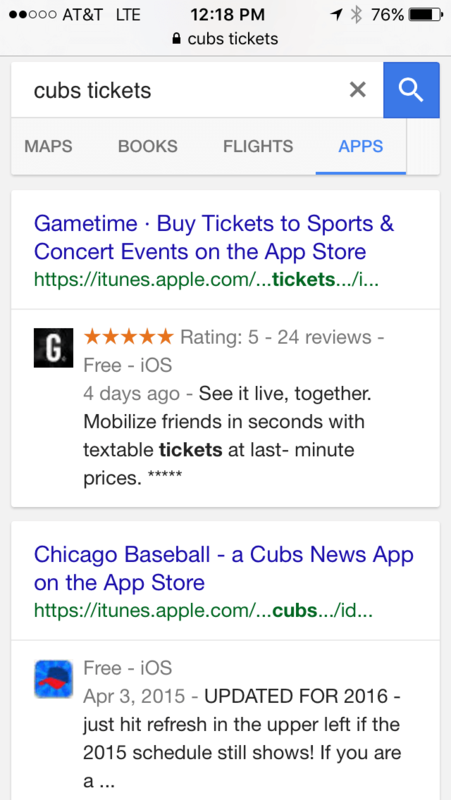 This is a great example of how deep-linked results are almost indistinguishable from text links until after clicked upon. 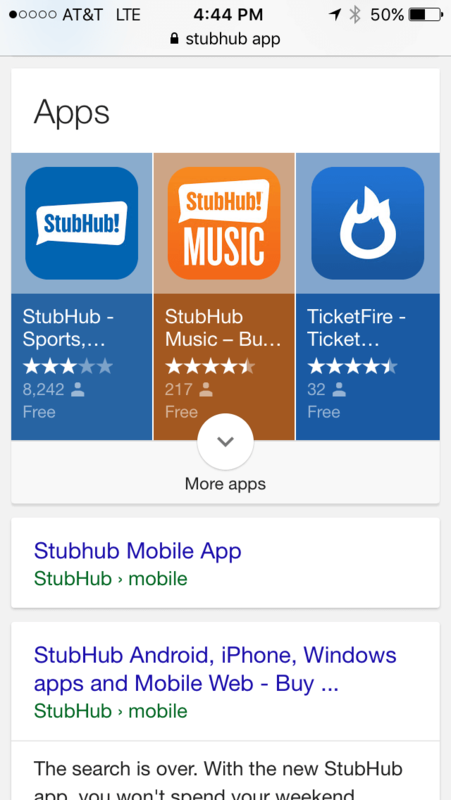 Competition from app results will only accelerate as Google is encouraging developers to index their client’s apps by offering ranking boosts in search results, like associating verified apps with websites. 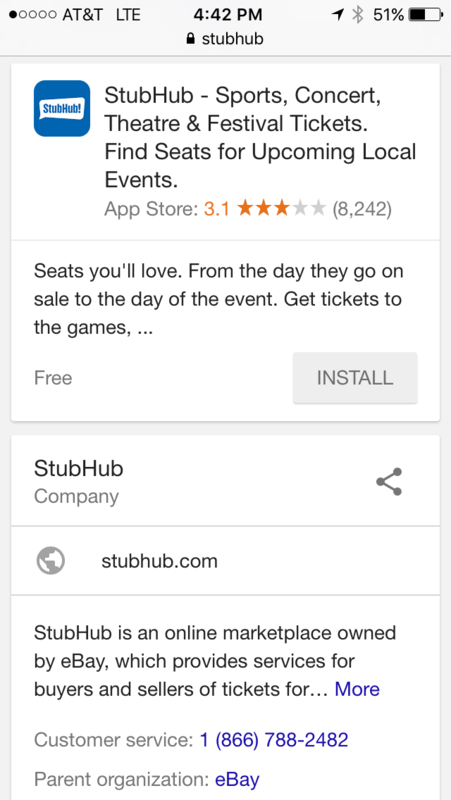 If the app is associated with the website, the website could potentially get a boost in rankings within the SERP. It will be interesting to see how digital marketers account for this shift in traffic as competition from app results in the SERP grows. At Performics, we’ll be keeping a close eye on analytics for clients who have a mobile app.